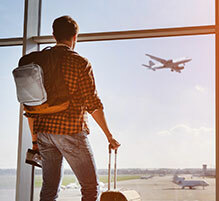 The CCCC Compass Short-Term Travel Insurance has been designed in direct response to the needs of individuals who are going on short-term mission trips outside of Canada (with the exception of the United States of America). This program provides coverage for emergency accident and sickness on a 24-hour, worldwide basis, medical expenses, evacuation, and accidental death and dismemberment benefits. Participation in the plan is conditional on CCCC membership. Download the Summary of Benefits and FAQs for detailed information. See the rate sheet here. Ready to Sign Up? Please contact us to get started.